In this series, we will examine recent political cards that I've added to my collection. 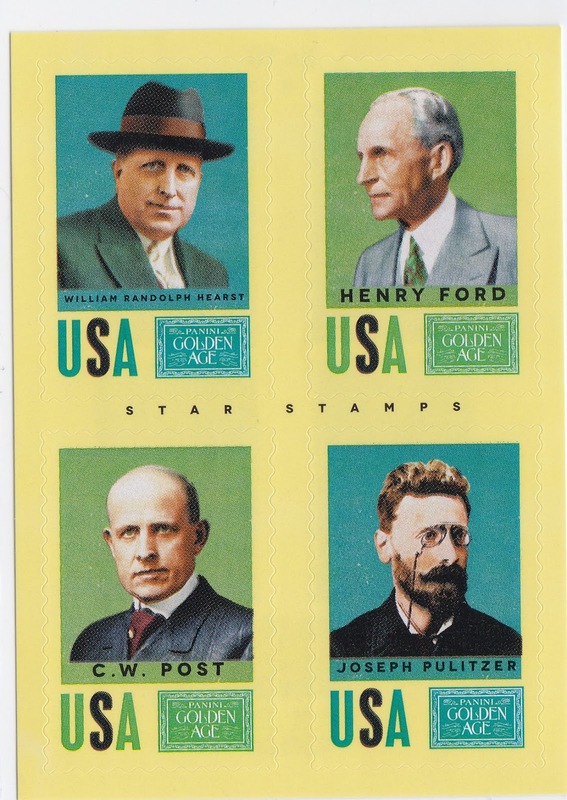 2014 Panini's Golden Age offers a 30-card Star Stamps insert set that gives you four players and occasionally four political stickers in one. 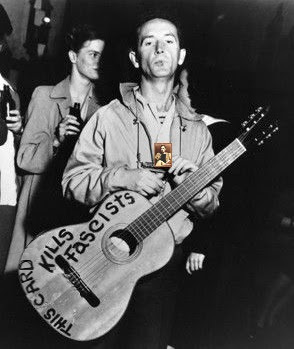 On the card below I think we are 4-for-4 on people Woody Guthrie wouldn't have approved of. If you are a fan of the Comedy Central show Drunk History there is a very good episode on cereal barron C.W. Post and his brother played by Owen and Luke Wilson. Hearst was of course the inspiration for the power hungry Charles Foster Kane in Citizen Kane.